This will make anyone run for the hills! The eyes on this one are just amazing - very creepy! 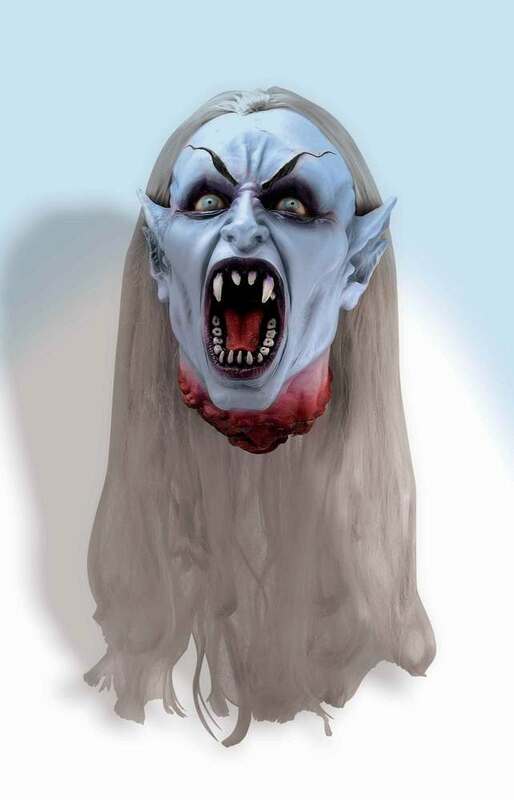 Great for a haunted house, this decapitated vampire head is an awesome Halloween prop! Very detailed head. The open mouth & fangs are great~otherworldly eyes. I've used this head on lifesized bodies~looks fantastic! This item is just as creepy as it looks online. I was thrilled with it and can't wait to scare the little kiddies with it.